Construction fencing started going up in early August around the two parking lots for The View at Waterfront apartments at 6th and K and 6th and M streets, located between Arena Stage and Waterfront Station. Last week, demolition of the parking lots began, which will make way for two new mid-rise apartment buildings with 276 units (h/t to reader Alexander for the scoop that demolition had begun). Back in the spring, some upgrades were made to the courtyard between the Pei buildings. There will also be courtyards between the Pei and new buildings. Each will be about 57 feet wide. Mill Creek Realty Trust owns The View and is developing the new apartment buildings. Parking for the new construction and the existing I.M. Pei-designed apartment buildings will be below-grade. The M Street building will have some ground floor retail. Both buildings are expected to be completed by the first quarter of 2019 while leasing will commence in the second half of 2018. 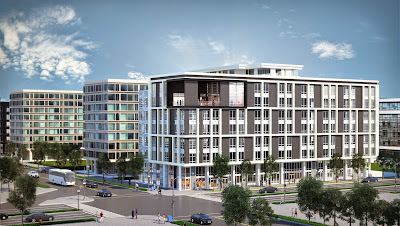 Construction of The View joins 301 M Street, The Eliot on 4th, and the St. Matthew's site (its groundbreaking will be on September 11), which are all in the vicinity of Waterfront Station. In addition, there are three apartment buildings and two condominium projects underway at The Wharf (525 Water received its certificate of occupation last month). 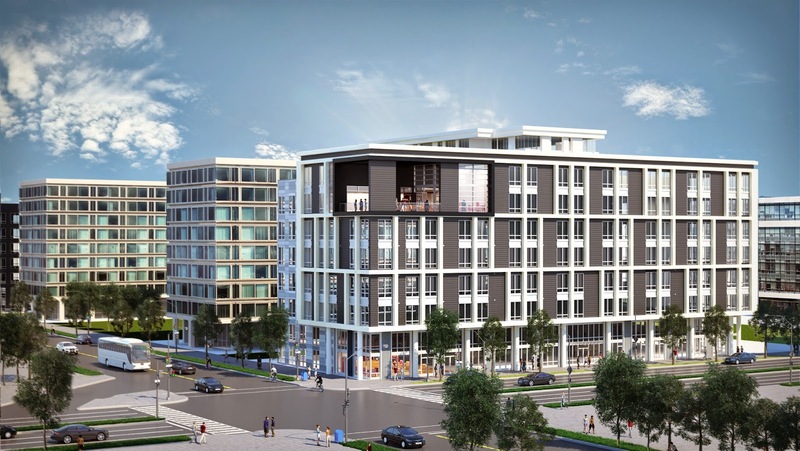 Other multifamily buildings that may get underway in 2016 around the quadrant include The Portals (1200-block of Maryland Avenue), Riverside Baptist Church at 7th Street and Maine Avenue, and the addition at Capitol Park Tower (4th and G streets). Nice. So will the two new Mill Creek buildings be built simultaneous? Courtyard upgrades are still ongoing and won't be finished until the fall. Supposedly both Mill Creek buildings will be built simultaneously. The heavy drilling/hammering for the support columns is due to start next week - probably be pretty noisy. That phase is projected to take 4 months. I see. Thanks for the update! 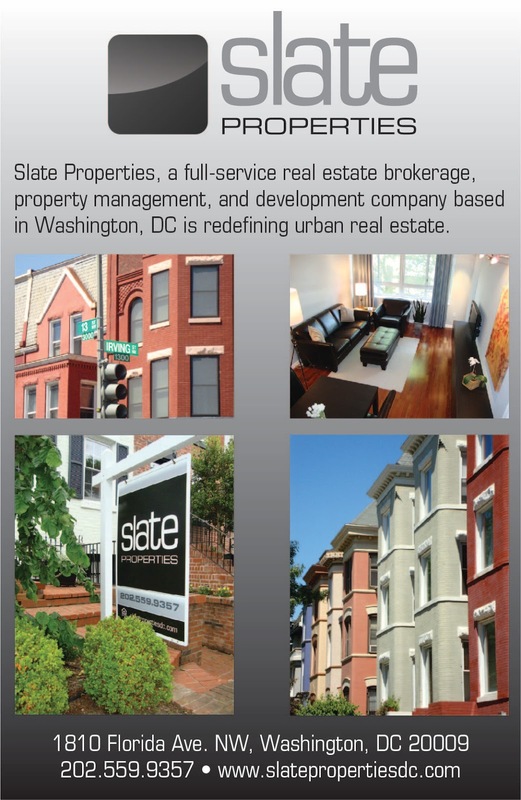 It's great to see all the project in SW DC that have been in the pipeline physically come to fruition. My concern is what is the status of the existing low rise Greenleaf Gardens housing (3rd & M Street, SW) that is be directly across the street from the new building at 301 M Street, SW and the St. Matthew's construction site? I can imagine how those that live in the Greenleaf Garden community feels with all the new development (gentrification) now finally rearing it's head in SW.
west156th - what exactly is your question? Are you interested in when Greenleaf Gardens and the other area projects will be redeveloped, or are you concerned about the future of the projects' residents? If you feel sorry for Greenleaf, Syphax, or James Creek residents, I encourage you to spend 2-3 minutes observing (or googling) what goes on there. Greenleaf, Syphax, and James Creek are toxic to Southwest. Anyone want to go halfsies on a bulldozer? Side note: let's be smart with SW redevelopment and disperse poverty. My comment regarding the article "Construction Begins at The View at Waterfront" has to do with the ever changing skyline of SW DC. Arthur P asked what is your question? The answer, I am interested in the time line for redevelopment of Greenleaf, period dot. Response to Sultan: I not going to use this forum to comment on whatever you came across in your "google" search. Not sure if you were ever displaced from your home because of gentrification.Side note: Please take a chill pill. @west156th: To utilize and creatively twist a quote from my boy, Heisenberg: I am the one who gentrifies (Buzzard Point adjacent - between M and Q, 2nd and S Cap, FTW). west156th - thanks for clarifying the actual intent of your question: you apparently would like to see the projects in SW (and I would hope DC/the US generally) - which have become concentrations of poverty and crime that negatively impact both their surrounding communities and their own residents - be redeveloped as more sustainable mixed housing. Although gentrification obviously has its negatives as well, nobody can honestly claim to want the projects to stay. Having lived in the neighborhood for over 20 years, I'd rather see typical urban overpriced development "rear its head" than 5 more decades of stagnation. Thanks to AMK for sharing the April posting. west156th did comment on that post when it was made, noting "I certainly hope this story is NOT an April Fools joke" - so again, there's no need to be ashamed to admit you'd like to see these projects redeveloped. Also note the "Build First" model that's been proposed for Greenleaf, which is a welcome change compared to many similar redevelopments in the past (where the residents were displaced wholesale to distant neighborhoods). In any case, hopefully there will finally be some actual movement on these plans soon. And hopefully backward NIMBYS will also stay out of the way (see "Shame on Shakespeare" fiasco).